To push issues from Bugsee to Bitbucket you must have properly configured issue trackers in all target repositories. Follow the steps below to validate your configuration. 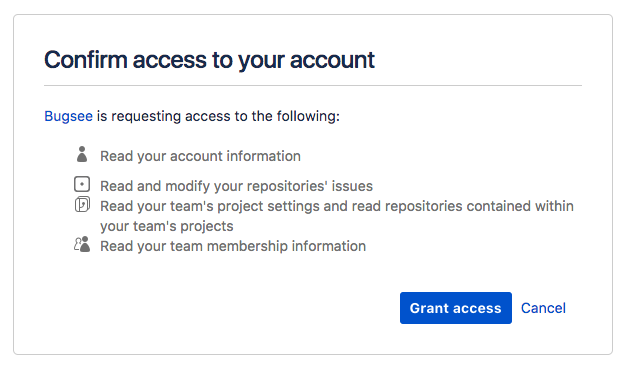 Navigate to your Bitbucket account and open the repository you want to check. You will be presented with the following window asking you to grant Bugsee access to your Bitbucket. Click "Grant access" to give Bugsee requested permissions. There are no any specific configuration steps for Bitbucket. Refer to configuration section for description about generic steps.